Does AnyCount count text in images inserted into a document? AnyCount can count text in images inside PDF files. 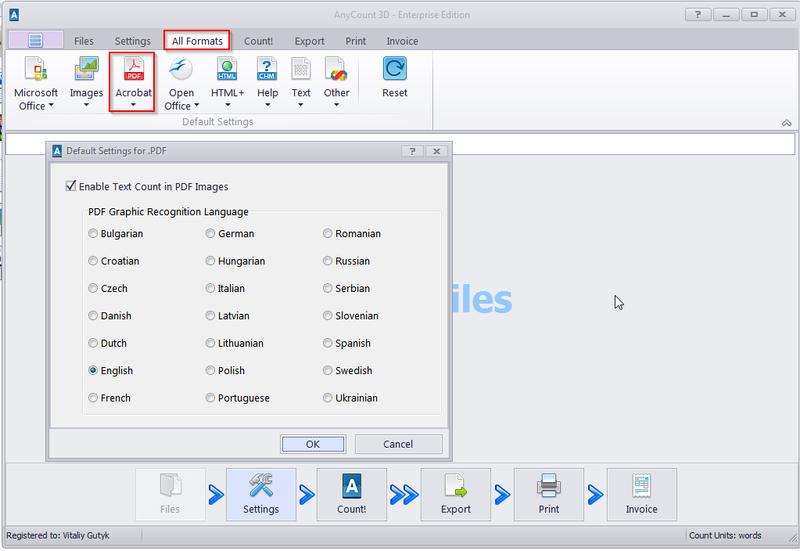 Just enable the OCR option and select the required language in "Settings >> PDF" after adding a PDF file. AnyCount does not count text in images inserted in documents of other formats. However, it can count text in standalone image files (PNG, JPG, GIF, or BMP). You will also need to select the correct language in the settings before counting image files.